The Trump administration nominated Joel Szabat to be the assistant secretary for aviation and international affairs within the U.S. Department of Transportation on July 31; a promotion from his current position as deputy assistant secretary for the office of aviation and international affairs. Szabat’s transportation career includes stints as executive director of the Maritime Administration from 2012 until this year, as well as a previous tour with USDOT overseeing transportation policy plus management and budget details. 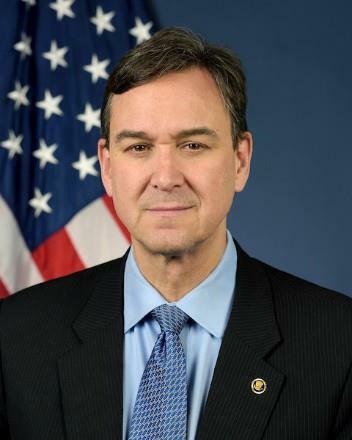 He was the federal official responsible for USDOT’s $48.1 billion share of the American Recovery and Reinvestment Act of 2009 and, in 2005, Szabat oversaw the U.S. government’s reconstruction of Iraqi airports, ports and railroads as transportation counselor to the American ambassador in Baghdad. He also served as chief of staff for the Small Business Administration from 2006-2008. During the Cold War, Szabat commanded tank units along the East-West German border, then pursued management consultant work in the private sector following his military service. He went on to serve as a transportation staffer in the California State legislature and with the Environmental Protection Agency. Szabat graduated with a Bachelor of Arts degree from Georgetown University and has an MBA from Harvard’s Business School.